Fortnite: Battle Royale's latest update is live now and new Epic/Legendary weapon makes it debut. The downtime for "Fortnite: Battle Royale's" patch v8.40 is over and the new Infantry Rifle that was teased in "Fortnite's" in-game newsfeed two days before this update has been released in the game. This new weapon is somewhat similar to the other Infantry Rifle, except that they are more powerful than their uncommon and rare counterparts. The Epic and Legendary variant of the weapon will do 42 and 44 damage respectively. A new Limited Time Mode called "Air Royale" has also been added to "Fortnite" with this update. The X-4 Stormwing Plane was without a doubt the best vehicle of Season 7. The aircraft could carry five players at a time and was one of the fastest modes of travel in the game. The vehicle was vaulted at the beginning of season 8, but a few leaks from the past couple of weeks had revealed that the aircraft might return to the game soon. The new "Air Royale" LTM has brought back this fan-favorite vehicle. 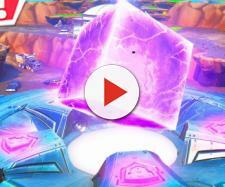 As the name of the LTM suggests, the game mode will be fast-paced, and the match itself will mostly take place in the sky. The new LTM will be a duos-only mode, and the planes in this mode will have three lives. The players will respawn in the match until the last life of their plane is lost. Players will be instantly eliminated if the touch the ground in this mode. The LTM also restrict players from landing on the ground by giving them a set amount of time for parking their planes on the ground, and the planes will automatically explode in case players do not take off within that time. Players will also have the ability to hijack other player's planes and add them to their existing number of plane lives. The other team will lose a life respectively. The Storm in this mode will have a ceiling which will gradually lower in a match. As for the weapons, Loot Chests of five different rarities will fall from the sky, and they will have different kinds of weapons inside them. Players just need to fly through the chest in order to get the content of the Loot Chest. Same goes for Med Kits and Shield. The Food Fight Limited Time Mode has also made a return with the latest update. In this mode, two teams will spawn on either side of the map, and an impassable barrier will separate both of the teams. 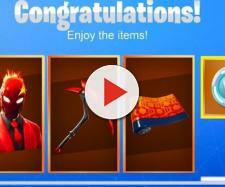 To make the LTM even more interesting, the lava level will rise during the match and players will have to defend their mascot enemy by building structures around them. The egg-themed Grenade Launcher has replaced the regular Grenade Launcher for the Easter and players now can pet their Pets. The friend XP-Boost feature has been reworked, and players who own the Battle pass will now receive tons of experience points for partying up with their friends. Last but not least, huge map changes have also been reported after the update.